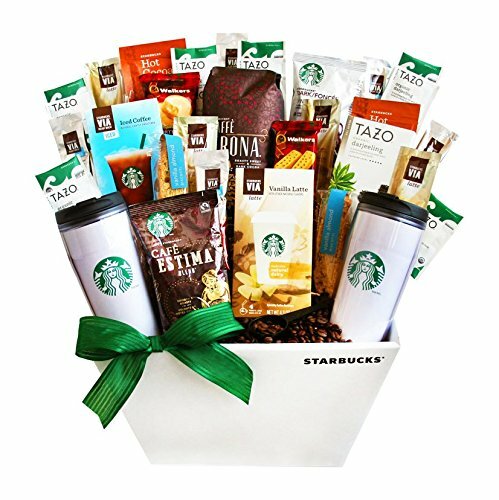 Packed with a very impressive collection of Starbucks teas and coffees, send this impressive gift to your favorite coffee lover. This gift includes: two Starbucks logo travel mugs, three verities of Starbucks coffee, shortbread cookies, Starbucks biscotti, hot cocoa, and Tea, two verities of Starbucks VIA coffee, and your very own coffee press. Certainly the ultimate Starbucks gift!